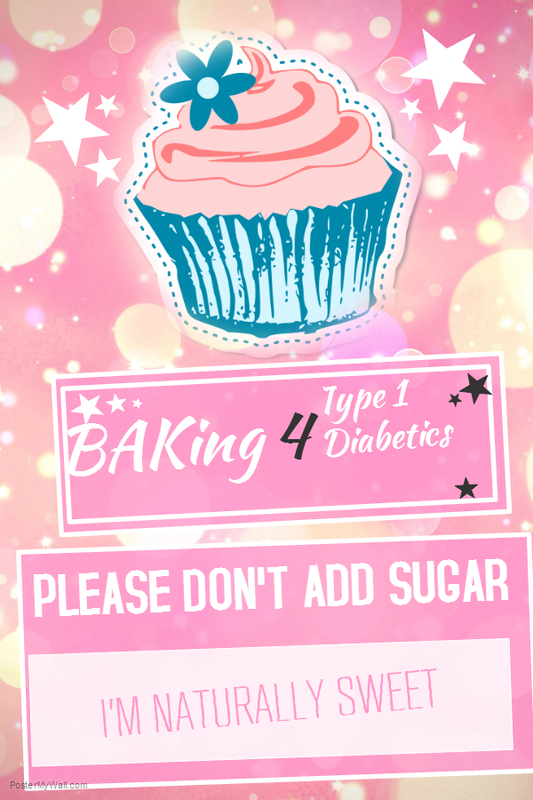 I was searching for recipes on Pinterest for Type 1 Diabetics and found out that Almond flour is super low in carbs. It has 5 carbs for 1/4 cup. I found the chocolate chip recipe on the Blue DiamondAlmonds Flour Package and modified it to fit our Type 1 Diabetic lifestyle. I used splenda instead of real sugar and Almond Flour instead of white flour. I used my KitchenAid stand mixer to make these. I will tell you that because we are using a lot less sugar the ingredients take a little longer and you will need to use your spatula to help push down the ingredients from the bowl to mix evenly. I put my mixer on 4 or 5 when beating the butter, sugar and vanilla together with eggs. It really doesn’t look right until you add the flour and chocolate chips. Makes exactly 20 cookies if you use a 2 tablespoon scoop. I used the Pampered Chef Medium Scoop (item #2540). Because we are a newly diagnosed T1 family I was hesitant to put all the chocolate chips in the mix because I wouldn’t get an accurate carb count. So I literally measured out 12 - 14 morsels and hand mixed them into the already prepared 2 tablespoon scoop. I will NOT do this next time, it's too much work. The first batch I put on the pan was almost a perfect ball, but I found that they turned out too thick. For the second batch I flattened the cookie and found it cooked and turned out better. My oldest son preferred the thicker fluffier cookie, while I preferred the thinner cookie. Cooking them for 15 minutes was perfect. The tops of the cookies have just a hint of brown color and the bottoms are perfectly golden brown. The cookies are definitely more white then a traditional cookie, but taste pretty darn good. I suppose if you wanted to experiment with them to get that golden color you could, but I don’t have that much time J. 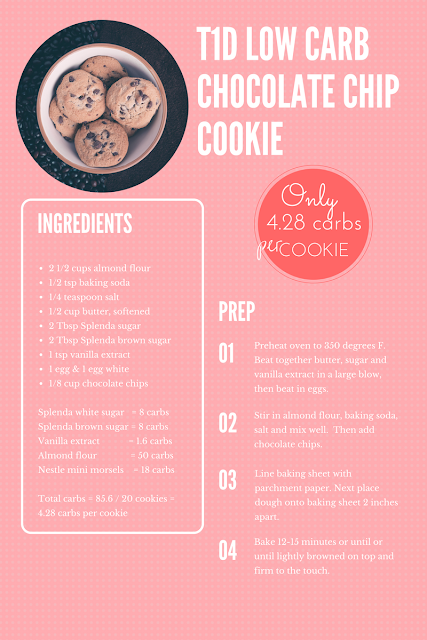 Hope you enjoy these 4.28 carb chocolate cookies. 1. Preheat oven to 350 degree F and put parchment paper on baking sheet. 2. Beat together butter, sugar and vanilla extract in a large blow, then beat in eggs. 5. 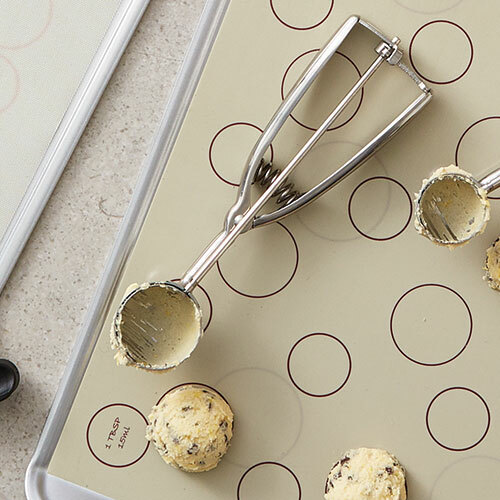 Drop in tablespoons of dough onto baking sheet 2 inches apart. 6. Bake for 12-15 minutes or until lightly browned on top and firm to the touch. Tell me what you think about these cookies and leave your comments below. Does your family LOVE these cookies? Yes or No? 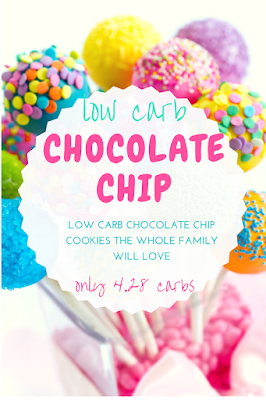 I'd love to hear how you make low carb snacks for your Type 1 diabetic.